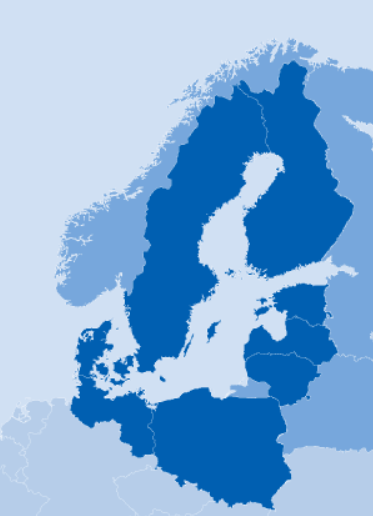 FLAGSHIP PROJECT STATUS – The ESABALT project was awarded the status of Flagship Project under the EU Strategy for the Baltic Sea Region (EUSBSR) Priority Area ‘Maritime Safety and Security’ (PA Safe) by its International Steering Committee. WP4 (System Architecture Definition and Associated Services Specification). validated the overall concept by reaching out to the maritime community—the potential users of the ESABALT system—through an online survey to gauge the need and willingness to adopt such a system, as well as to gather general feedback on the operational needs and constraints of maritime stakeholders. The results of the user survey generally validated the overall ESABALT concept, i.e. such a system would indeed contribute to improved maritime safety and that mariners would be willing to participate in the crowdsourcing aspects if given the technical capability. formulation of the system assessment criteria in terms of situational awareness and maritime safety improvement. These criteria help evaluate the system prototype in comparison to other existing devices, systems and R&D projects. WP4 – This WP proposes a design for the ESABALT system architecture. The central data and web server will process all the crowdsourced information from the individual ESABALT terminals, and in turn cater to their service requests. Each terminal is supported by the three primary technology pillars – Navigation, Sensing and Communication. The land-based or sea-based sensor stations enable environmental monitoring, external databases provide maps, vessel information, and earth observation (EO) images, and a central control station manages administrative oversight. 15 example functions of the ESABALT platform are described using functional flow block diagrams, also showing the data interface between the different modules of the system. This WP describes ‘Autonomous Vessel Data-Crowdsourcing’, which includes integration of novel sensors with the ESABALT terminals onboard the vessels or in automated sensor stations so that relevant data aggregated with other sensor/AIS information is crowdsourced to the server with minimal, if not zero human intervention. This information is available to other vessels or authorities for real-time situational awareness in the Baltic Sea Region. This leads to overall in the BSR, thus leading to improved maritime safety and environmental monitoring. This WP also proposes solutions for integrating state-of-the-art Sentinel-1 EO data to ESABALT. OTHER MILESTONES – ESABALT has implemented the project webpage and other online media, consortium kick-off meeting, and 1st (in person) Project Status Meeting. PUBLICATIONS – ESABALT has a very positive publishing record. Please refer to the complete list of publications here. MARITIME TEST AND DATA COLLECTION CAMPAIGNS – onboard the VikingLine cruise ship ‘Amorella’ between Turku, and Stockholm. The aim was to study the operation of the maritime bridge systems, interview the crew, and collect vessel routing, communication, navigation, other sensor, and engine performance data during the voyage in the Baltic Sea. This will enable distillation of the most critical information for crowdsourcing in the maritime scenario. MEMBERS OR OBSERVERS IN STAKEHOLDER COMMITTEES – ESABALT members served as members or observers in nine (9) policy meetings and stakeholder committees, thus providing the project a platform to contribute in future policy planning for the BSR. INTERNATIONAL STAKEHOLDER EVENT – FGI arranged the 2014 International Conference on Localization and GNSS (ICL-GNSS) in Helsinki, Finland, targeting innovations in navigation technology. COLLABORATION WITH OTHER INTERNATIONAL RESEARCH COMMUNITIES – international collaboration in maritime safety and security matters, mariner’s qualification and skills, development of new technologies, and introducing existing technologies into maritime field under 2 EuropeAid projects. DISSEMINATION – ESABALT dissemination and visibility enhancement activities are available here.